Picture this: yesterday evening you returned from a long business trip. You wake up, shower, change, and head to the office. You cleared your morning schedule specifically to finish your expense report, so you dive right in to that big pile of receipts on your desk. You hit your company’s expenses software with a vengeance. As you move through one screen after another, your task becomes more laborious, until you finally hit submit only to find out you haven’t properly itemized your hotel receipt. Does this scenario sound familiar? Among all of the professionals I know, one unifying theme stands out: they hate doing their expenses (primarily due to the arduous nature of their firms’ expenses software). Sometimes it’s a weird design quirk, or an unintuitive user interface that makes for a poor experience. Other times, it’s a bug that forces the user to click through extra, irrelevant screens, thus making the process longer than it should be. Whatever the issue, it’s a recurring theme among my colleagues and friends. So why is this experience so consistently bad? Software is part of our every day. It has become so ubiquitous in our daily lives that you probably aren’t even thinking about the software you’re using right now to read this post. I could probably write a few more sentences about how software runs everything — from your personal bank accounts, to your daily commute. I doubt there are even two hours a day when we as a society are not using software. However, out of all the software you use every day, how often do you use the software your company creates? Today in every organization, someone is building, designing, configuring, and deploying software. Someone is responsible for running it, and for making sure the day-to-day use is followed as expected. Others are in charge of deciding which software will be used for a particular task. In the end, many people can potentially be involved with a piece of software that will be used inside an organization. But, how many of these people actually use the software every day? Eating your own dog food, also called dogfooding, is a slang term used to reference a scenario in which a company uses its own product to test and promote the product. –From Wikipedia, the free encyclopedia. During my tenure in the software industry, I have everyone from Salespeople to engineers, even HR folks, all boast of how they really do “eat their own dog food.” In a former Presales role, my colleagues and I often used dogfooding as a significant talking point during our sales cycle. However, the truth was quite different: we rarely used our own business process management (BPM) software internally. And after a little digging, I found out that the same went for many of my industry colleagues. Sure, they had logged in a few times, pressed a few keys, and logged out. Some may have touched the software once a quarter after a major release (they were usually prompted by an email). But these actions are a far cry from actually using the software in their day-to-day jobs. Should I be so bold as to say, a very small percentage of people who claim to eat their own dogfood actually do so? Yes, I will say it: most creators of software do not actually use the software themselves. This, however, was before I joined Appian. Prior to joining Appian, I had reached out to a few of my soon-to-be new co-workers. I had a number of questions and ideas about our internal workflows, specifically around collaboration. Being a remote employee, I wanted to be sure that I could stay abreast of what was happening at Appian headquarters, and inside the company at large. One co-worker told me that we use the Appian platform internally for many things, including collaboration. *Cue eye roll. * Given my experience, the skeptic in me was doubtful. Well, I was wrong. Day one, orientation: our class was introduced to the Appian platform. Not as something to be proud of (though it is a great product), nor as something to know talking points about in the event of an impromptu elevator pitch. Rather, we were introduced to an Appian instance doubling as our intranet, specifically tailored for internal company functions. We call this “intranet” Home. Well, Nick, what can an Appian employee find in Home? I’m glad you asked. Our social networking feature, the News tab, contains everything from new hire announcements, to new baby pictures, tweets from the Appian twitter account, sales information and wins, interesting articles, even pictures from company events. Click on any user in the News feed and you get taken to their profile page. From here, Appian employees can set up a social network style profile, complete with background info, pictures, even hobbies and skills which are click-able, meaning you can find other Appianites with similar interests. While the News tab is great, it’s not designed to run the functions of a business. For that, you need Records. 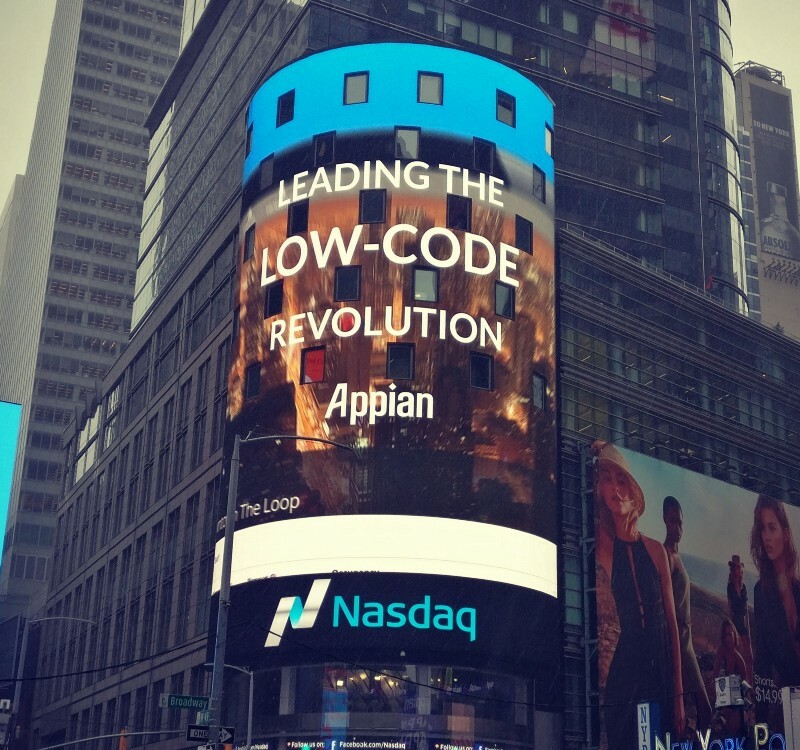 As Appian continues to grow as a company, dogfooding will be a critical part of #AppianLIFE for years to come. Home is our intranet, used by the Appian team to conduct internal company tasks. It is a mission critical tool for the company. But more than that, Home has become a community our team loves using and looks forward to being a part of. Just this morning, I found baby pictures mixed in with information about a sales win and a quote about digital transformation. Home is always the first place I visit when I start my work day, and the last place I visit before I call it a day. I had always assumed that dogfooding was critical to making good software, but had never really experienced it until I joined Appian. Being a new employee, I am continually impressed at the level of participation around the office which I know helps to make the platform what it is. So the next time someone tells you how much often their company uses their own software, maybe ask them a little more about it. This post was republished from the AppianLIFE blog. Check it out for more posts about Appian culture!